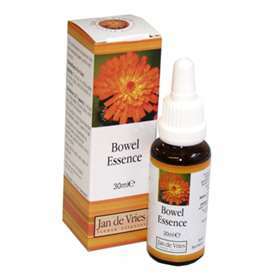 This is a combination of carefully selected flower essences for irritable bowel syndrome (IBS), Crohn's Disease, bowel dysfunction, constipation, diarrhoea, bloating and indigestion. Please note: This product is not recommended during pregnancy. Treatment period: Shorter treatment periods are often all that are required although no adverse effect will result from taking the remedies long term.